[SatNews] Hundreds of high school students will visit several Lockheed Martin [NYSE: LMT] facilities across the U.S. to compete in a computer programming competition in the corporation’s Fourth Annual Code Quest on April 18. 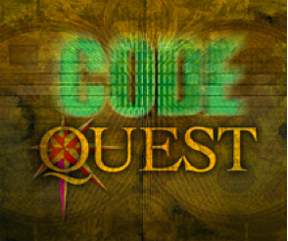 Lockheed Martin developed Code Quest to challenge and inspire tomorrow’s “coders” (programmers) to pursue information technology degrees as part of its focus on science, technology, engineering and math (STEM) outreach. Students will work in small teams through a set of coding challenges developed by Lockheed Martin information technology professionals, who will also assist students during the event. The student teams will be separated into novice and advanced levels, and will be challenged to complete a series of problems within a 2.5-hour timeframe. All students will do their programming in JAVA, a computer programming language and platform. “From the gadgets in our hands to the vehicles that will explore deep space, programmers are advancing technology and changing our world,” said Anne Mullins, Lockheed Martin chief information officer. “Code Quest is our opportunity to inspire and help prepare the next generation of programmers, innovative thinkers and problem solvers. Our hope is that competitions like Code Quest will enlighten students to the possibilities of an exciting STEM career and encourage schools to expand their curricula."